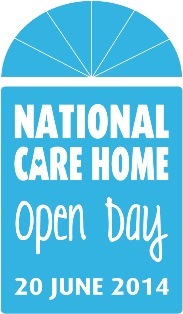 All Carebase care homes are taking part in National Care Home Open Day on 20 June 2014. National Care Home Open Day is a chosen day when care homes across the country open their doors to the public and arrange a variety of events, activities and entertainment designed to bring people together, build some connections and enhance the presence of care homes within the community. On the 20 June all of Carebase’s care homes are opening their doors between 10am and 4pm and inviting the local community to come and look around the home, meet the staff, speak to the residents and get a taste of what life at each of the homes is all about. Each of our care homes have arranged something special to celebrate the occasion, and there will also be complimentary refreshments of tea, coffee and cakes laid out throughout the day and the friendly staff and industry experts will be on hand to welcome any questions visitors have about the home and the care provided. Please contact the individual homes to find out what they have planned for all visitors on the open day. We hope to see you there!